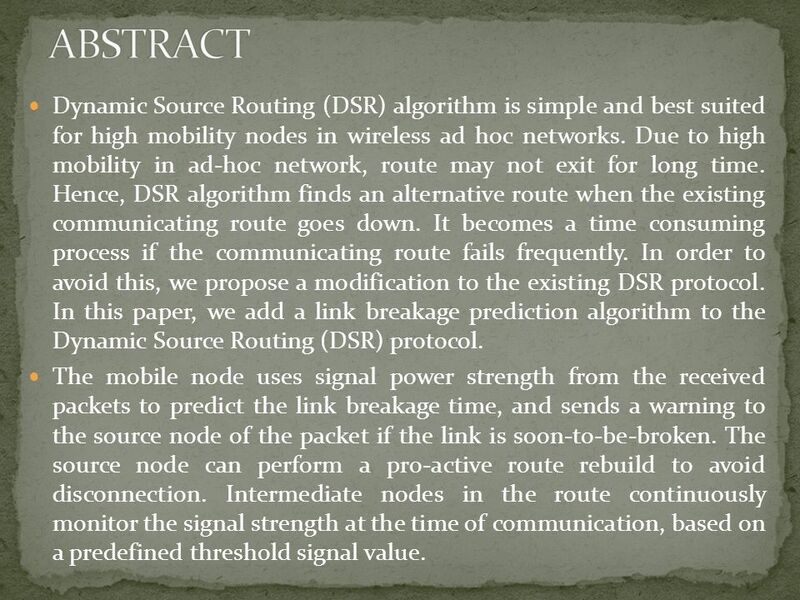 2 Dynamic Source Routing (DSR) algorithm is simple and best suited for high mobility nodes in wireless ad hoc networks. Due to high mobility in ad-hoc network, route may not exit for long time. Hence, DSR algorithm finds an alternative route when the existing communicating route goes down. It becomes a time consuming process if the communicating route fails frequently. 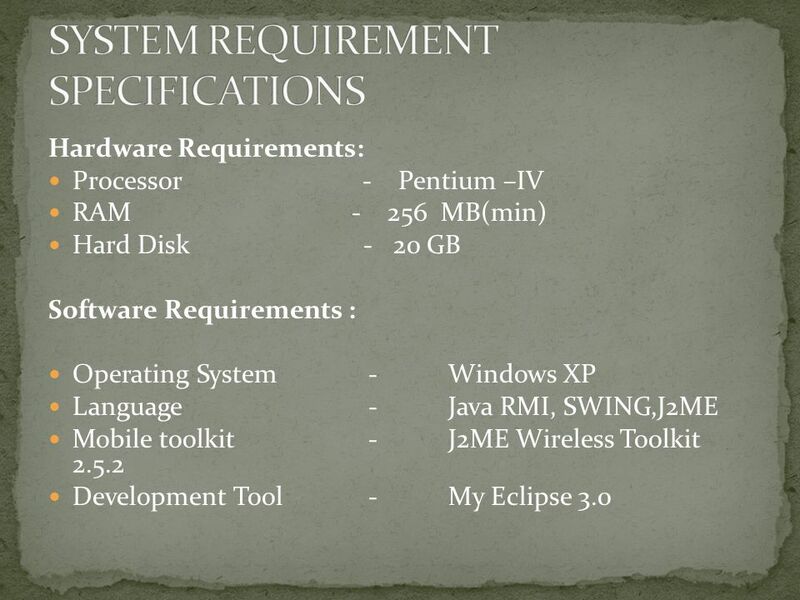 In order to avoid this, we propose a modification to the existing DSR protocol. In this paper, we add a link breakage prediction algorithm to the Dynamic Source Routing (DSR) protocol. The mobile node uses signal power strength from the received packets to predict the link breakage time, and sends a warning to the source node of the packet if the link is soon-to-be-broken. 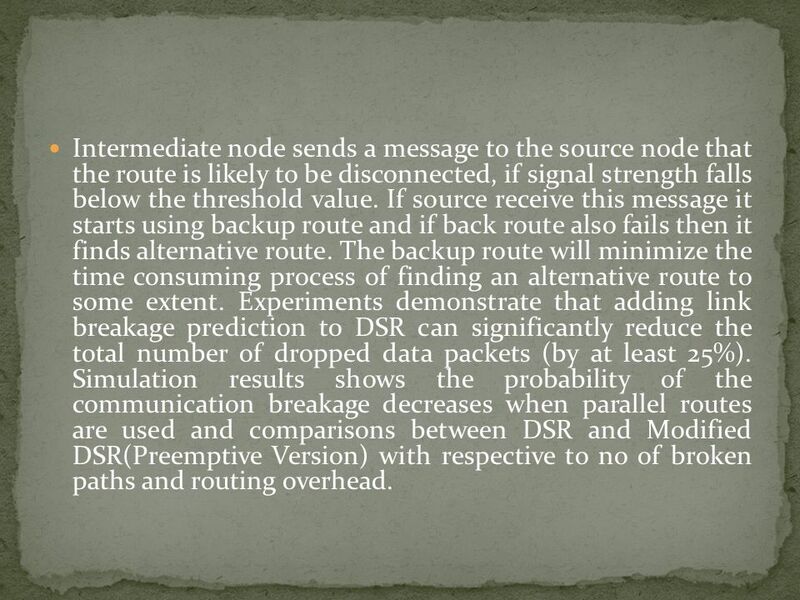 The source node can perform a pro-active route rebuild to avoid disconnection. Intermediate nodes in the route continuously monitor the signal strength at the time of communication, based on a predefined threshold signal value. 3 Intermediate node sends a message to the source node that the route is likely to be disconnected, if signal strength falls below the threshold value. If source receive this message it starts using backup route and if back route also fails then it finds alternative route. The backup route will minimize the time consuming process of finding an alternative route to some extent. Experiments demonstrate that adding link breakage prediction to DSR can significantly reduce the total number of dropped data packets (by at least 25%). Simulation results shows the probability of the communication breakage decreases when parallel routes are used and comparisons between DSR and Modified DSR(Preemptive Version) with respective to no of broken paths and routing overhead. 4 Dynamic Source Routing(DSR) The Dynamic Source Routing (DSR) protocol is a simple and efficient routing protocol designed specifically for use in multi-hop wireless ad hoc networks of mobile nodes. It is based on the concept of source routing, a routing technique in which the sender of the packet determines the complete sequence of the nodes through which to forward the packet. The sender explicitly lists this route in the packets header, identifying each forwarding hop by the address of the next node to which to transmit the packet on its way to the destination host. 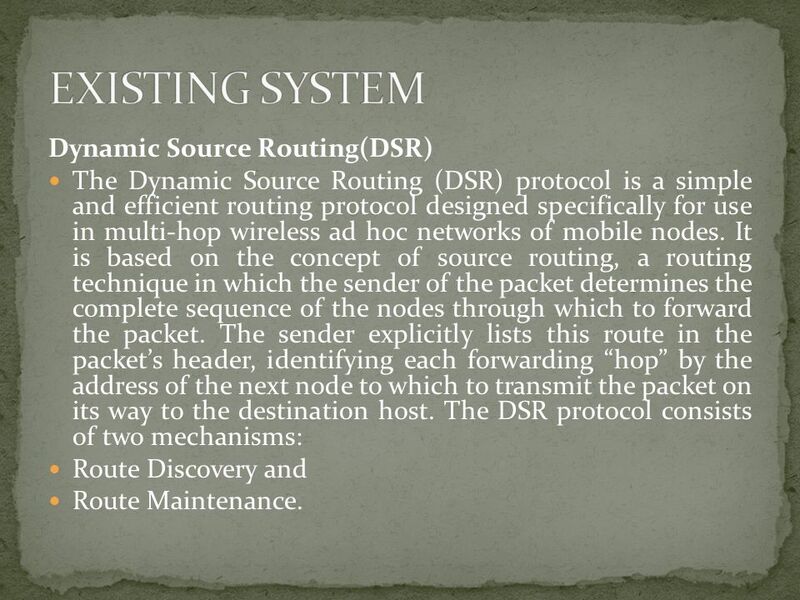 The DSR protocol consists of two mechanisms: Route Discovery and Route Maintenance. 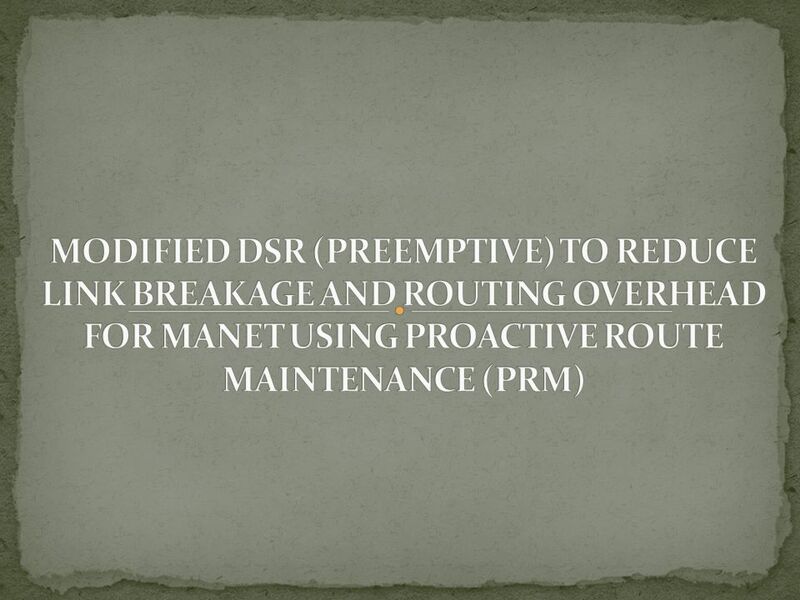 5 Proactive Route Maintenance We assume that all nodes wishing to communicate with other nodes within the ad hoc network are willing to participate fully in the protocols of the network. 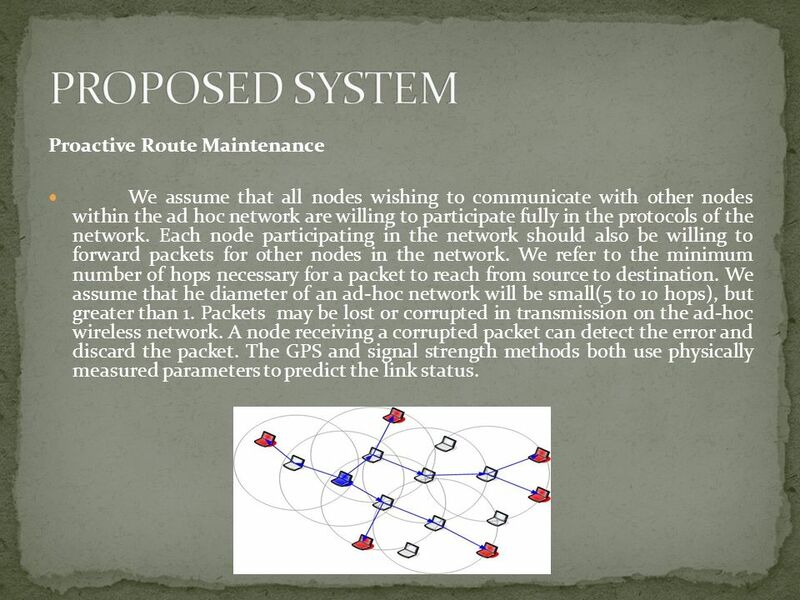 Each node participating in the network should also be willing to forward packets for other nodes in the network. We refer to the minimum number of hops necessary for a packet to reach from source to destination. We assume that he diameter of an ad-hoc network will be small(5 to 10 hops), but greater than 1. Packets may be lost or corrupted in transmission on the ad-hoc wireless network. A node receiving a corrupted packet can detect the error and discard the packet. The GPS and signal strength methods both use physically measured parameters to predict the link status. 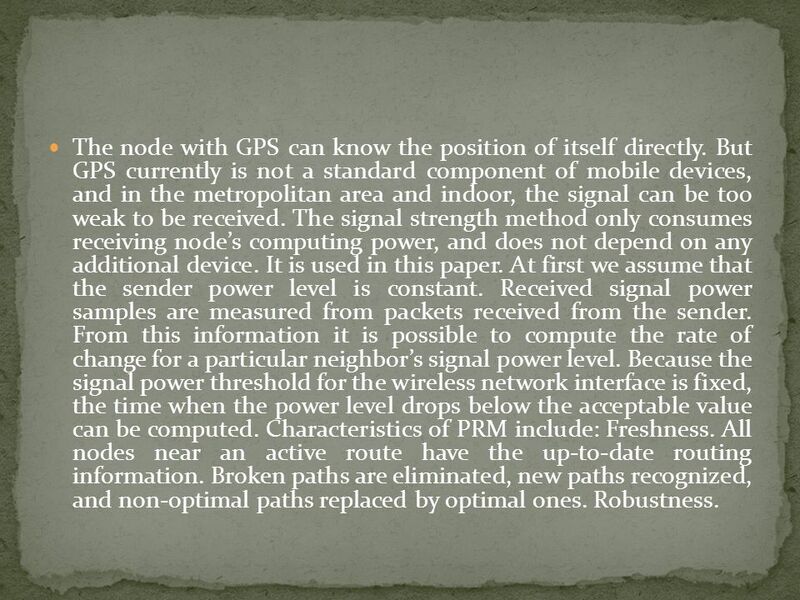 6 The node with GPS can know the position of itself directly. But GPS currently is not a standard component of mobile devices, and in the metropolitan area and indoor, the signal can be too weak to be received. The signal strength method only consumes receiving nodes computing power, and does not depend on any additional device. 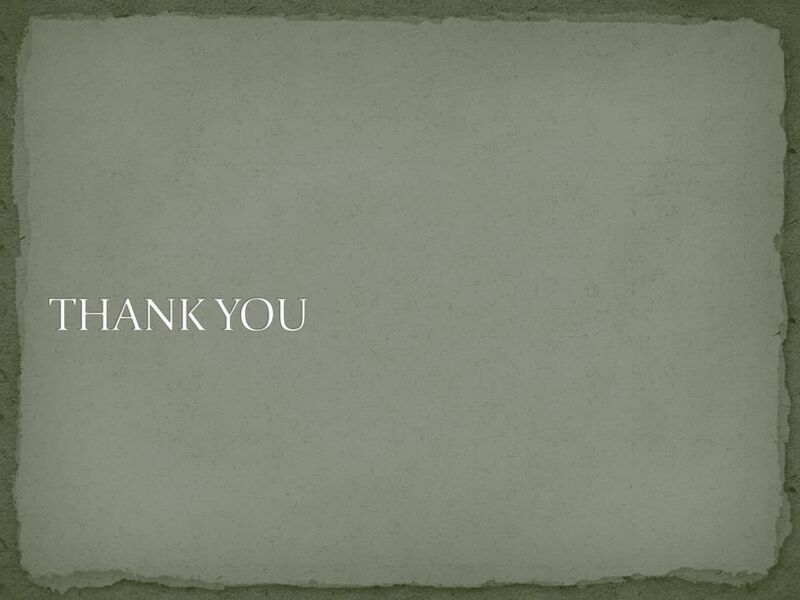 It is used in this paper. At first we assume that the sender power level is constant. Received signal power samples are measured from packets received from the sender. From this information it is possible to compute the rate of change for a particular neighbors signal power level. Because the signal power threshold for the wireless network interface is fixed, the time when the power level drops below the acceptable value can be computed. Characteristics of PRM include: Freshness. 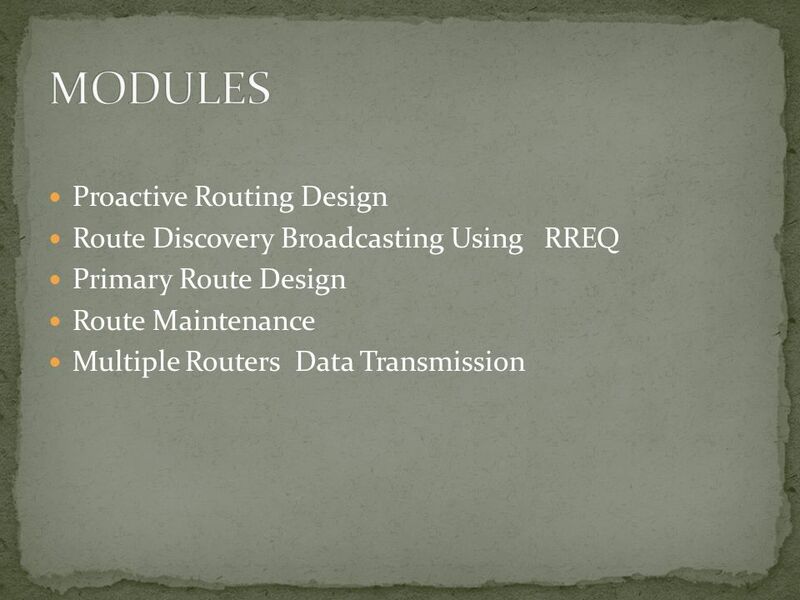 All nodes near an active route have the up-to-date routing information. Broken paths are eliminated, new paths recognized, and non-optimal paths replaced by optimal ones. Robustness. Download ppt "Dynamic Source Routing (DSR) algorithm is simple and best suited for high mobility nodes in wireless ad hoc networks. Due to high mobility in ad-hoc network,"
Bandwidth Estimation for IEEE Based Ad Hoc Networks. ACHIEVING NETWORK LEVEL PRIVACY IN WIRELESS SENSOR NETWORKS. 1 A Review of Current Routing Protocols for Ad-Hoc Mobile Wireless Networks By Lei Chen. DSR The Dynamic Source Routing Protocol Students: Mirko Gilioli Mohammed El Allali. CSE University of Washington Multipath Routing Protocols in AdHoc Networks. Real Time Flow Handoff in Ad Hoc Wireless Networks using Mobility Prediction William Su Mario Gerla Comp Science Dept, UCLA. Secure Data Communication in Mobile Ad Hoc Networks Authors: Panagiotis Papadimitratos and Zygmunt J Haas Presented by Sarah Casey Authors: Panagiotis. CS541 Advanced Networking 1 Dynamic Channel Assignment and Routing in Multi-Radio Wireless Mesh Networks Neil Tang 3/10/2009. ITIS 6010/8010 Wireless Network Security Dr. Weichao Wang. CS541 Advanced Networking 1 Mobile Ad Hoc Networks (MANETs) Neil Tang 02/02/2009. Milano, 4-5 Ottobre 2004 IS-MANET The Virtual Routing Protocol for Ad Hoc Networks ISTI – CNR S. Chessa. 8/7/2015 Mobile Ad hoc Networks COE 549 Routing Protocols II Tarek Sheltami KFUPM CCSE COE 1.